True Online design insures that the critical loads receive pure power under all circumstances. Wide range AC voltage input provides continuous power conditioning even during brownout or over voltage input conditions. Wide range input frequency capability without impacting fixed output frequency. Robust UPS design allows for continuous operation from battery with options up to 24 hours. Available in extended temperature ranges for harsh environments. 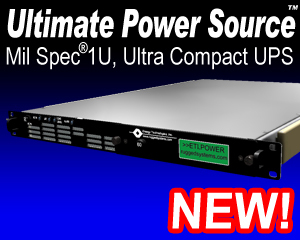 PowerStation™ Modular Power Systems NEMA Type 12, 4 and 4X Configurations Energy Technologies manufactures a wide variety of NEMA UPS products due to the modularity of the product line and the diverse requirements of our clients.